As technology marches on, so too does the way hunters hunt. While hunting still is, and forever will be, a sport of nature and physicality, advances in technology are helping the technologically savvy to shoot down the biggest bucks before anyone else. Keeping up with the times is not only wise for those wanting a productive season, it’s practically a requirement now. Thankfully, keeping up with the times has also gotten easier thanks to technology, and thanks to the technology of the Internet, I am here to tell you of a few items no hunter today should go forth without. Now, in this age of information and computers, knowledge is a weapon just as deadly as your Remington. Know what to bring on your next hunting trip to keep yourself competitive and prepared for anything. Trail Cameras have become increasingly inexpensive and more useful as time has gone on. And, while this year’s offerings in trail cameras have not been much different from last year’s offerings, trail cameras are still just as useful as ever. A decent trail camera will usually not run for more than $120, and are identifiable by well-known brands such as Crenova, Bushnell, Moultrie, and Wildgame Innovations. Good trail cameras are also very easy to find, as customer reviews often reflect how well they’ve worked for other people. Cellular trail cameras, in particular, are especially useful nowadays. These are special trail cameras that receive signals from cellphone towers in the area, depending on which cellphone provider you set them up with. These cameras use that cellphone signal to access the internet to send you real time updates and pictures from your trail cameras, making it easy to check on your cameras without you disturbing the area around them. These are incredibly useful for more cautious hunters, and the data plans that they require are relatively inexpensive as well. They say there’s an “app” for everything these days on these new cell phones, and deer hunting is no exception. Chances are, you have either an iPhone or an Android device, so why not utilize it for hunting? 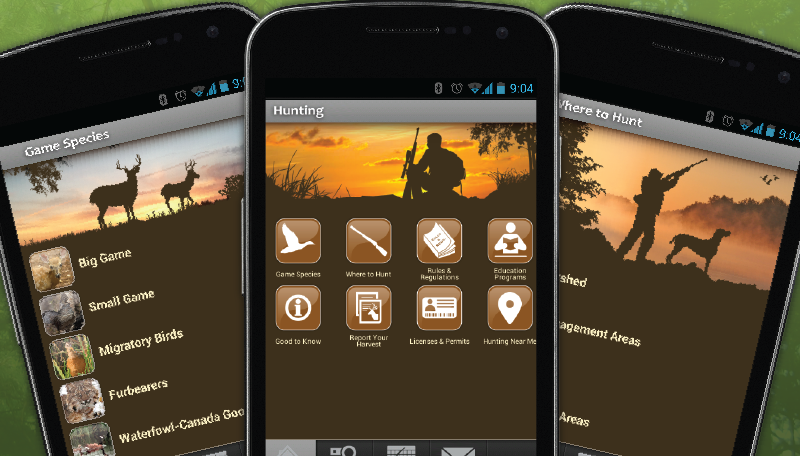 While there isn’t actually an app to hunt deer for you (though, that would be pretty boring), there are many apps you can use to place markers on a map of your hunting location, look up deer movement patterns, look up weather conditions and how they affect those movement patterns, and share pictures taken from trail cameras with your friends and family. In particular, apps like AccuWeather (a weather app) and HuntStand (a hunt organization app) are extremely useful for getting a better understanding of your surroundings and having more accurate predictions as to how and where the bucks are moving. Though using them can be a little tricky at first, they are well worth the effort to learn to use, especially since these two particular apps are completely free. This one is still an essential part of any hunter’s repertoire. Deer have very sensitive noses, and can detect the smell of a human from a long distance, and on many surfaces. That’s why it is imperative that you reduce your scent profile in any way you can, and using scentless soap to clean yourself and your clothes is a good way of making sure your scent blends in with the scents of the nature surrounding you. Scentless soap is manufactured by most major soap-selling companies, like Dove, so finding some is quite easy and not expensive at all. To improve the scent-canceling effects of odorless soap, you would do well to include baking soda into your cleaning regimen as well. Mixing baking soda with your odorless soap allows for a more powerful scent-canceling effect that lasts longer, and using baking soda in conjunction with your deodorant has similar effects. Keeping your hunting clothes deodorized during travel is easy with baking soda, so long as you sprinkle some on your clothes when not in use. Scentless soap, deodorant, and baking soda are essential for the modern hunter. Binoculars are as useful as they’ve ever been, but they can be a bit bulky to lug around, especially considering the other things deer hunters need to have on their person. Thankfully, there are compact binoculars that, while often not as powerful as the larger ones, are often just as durable and are less of a bother to carry around. 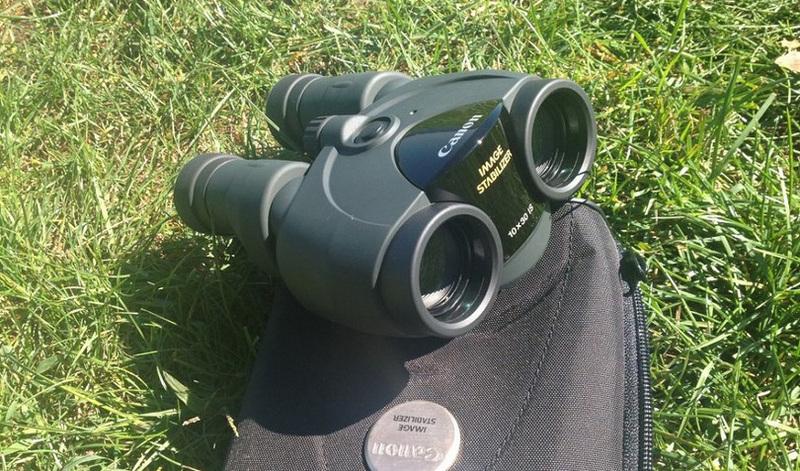 Compact binoculars, despite their relatively small size, are also often equipped with useful features that make them just as functional as their larger counterparts. Many compact binoculars are fog and rain resistant, making it easier to see through more troublesome weather. Their durability also make them resistant to damage caused by the weather and repeated use, making most compact binoculars a good investment for years of hunting. They are a very useful tool all around. While perhaps not the most technologically advanced item in the modern deer hunter’s pack, having a water flask or bottle that can withstand the elements is still just as essential now as it has been since people started hunting in the first place. This is obviously because people have never stopped needing water, and having water on the go is far more advantageous than needing to return to camp to drink up. What makes water flasks nowadays so useful, however, is just how durable and well-suited for outdoor activity they’ve become over the years. No longer are they just fancy-looking plastic bottles that mount easily onto one’s side, today’s water flasks can often retain the temperature of the containing liquid for hours on end, and still receive quite a bit of punishment from the outside elements. Additionally, the ergonomics surrounding bottle design have improved over the years, the Hydro Flask in particular is a great example of an easy-to-hold bottle that is very durable. 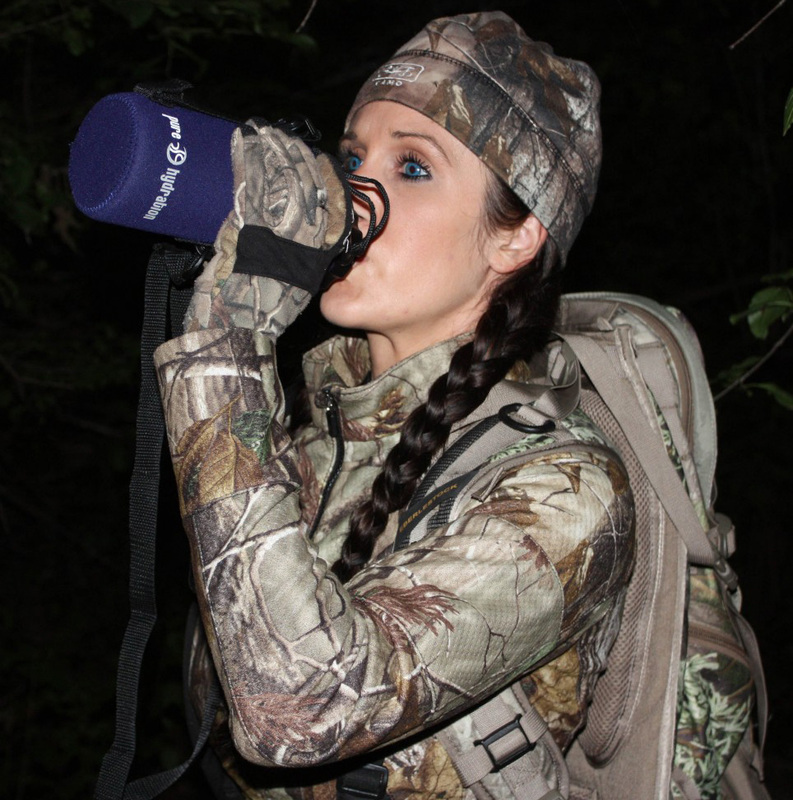 A quality outdoors water bottle is an investment no deer hunter should miss out on. Deer hunting has become more efficient over the years from technological advancements, but there’s still quite a bit of skill and effort involved in the sport. And while only practice and constant vigilance will build up skill, using today’s advancements in hunting technology helps with the “effort” bit. 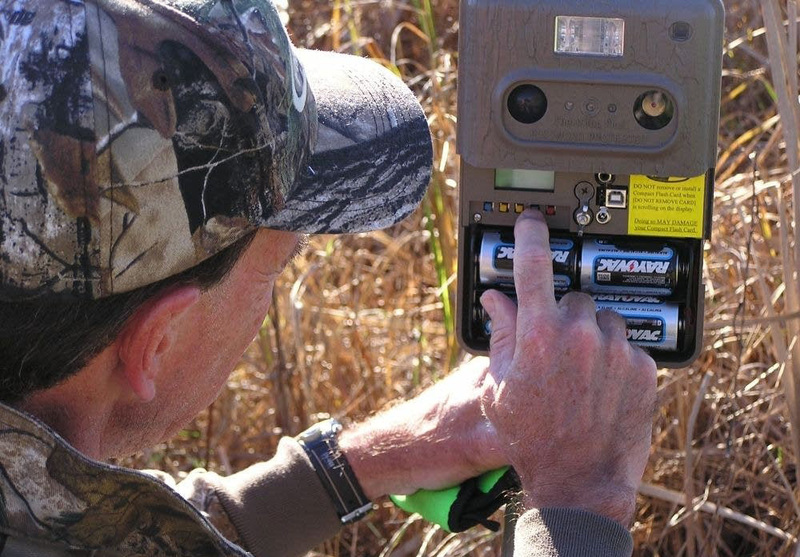 Having a quality trail camera or two out on the field will help you track deer movements and monitor them, even if you’re not on the field yourself. Smartphone apps can also keep you updated on the status of your hunting grounds, whether or not you’re there. Compact binoculars are immensely useful once you do start hunting, and scentless soap and baking soda keep deer from ever detecting you. Finally, to keep yourself hydrated when hunting, today’s outdoor water flasks can help you keep going in scorching or freezing weather. As long as you are sufficiently prepared, you should have no problem with your hunting endeavors!